Our trip this weekend to Leavenworth was spent fishing, boating, and shopping. 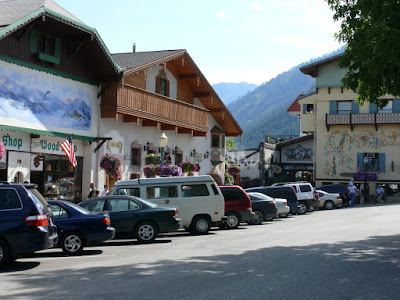 Only two hours from Seattle, yet a world apart from it, the breathtaking Bavarian village of Leavenworth is world-renowned for unique and authentically German vacation experience. 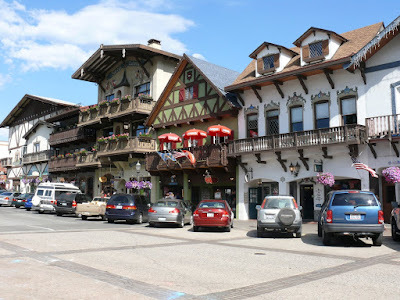 Surrounded by breathtaking mountain vistas and rugged glacial rivers, and situated close to three fantastic ski passes, Leavenworth sets an unforgettable European-style atmosphere. 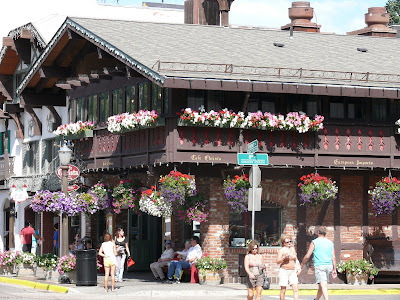 For an amazing shopping experience in true Bavarian style, nothing comes closer to the quaint and attractive village of Leavenworth! German-styled shops offer the best sausage, cheese, chocolate, as well as cuckoo clocks. 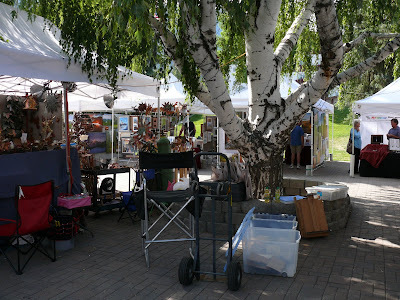 Shopping in Leavenworth is an experience that simply can't be missed! 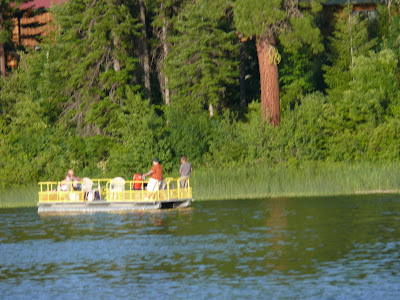 Stocked with rainbow trout, German browns, perch, and bass, Fish lake is an angler's paradise. 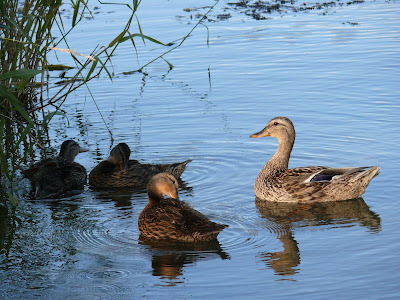 Camping and access to the lake is at a local Cove Resort. 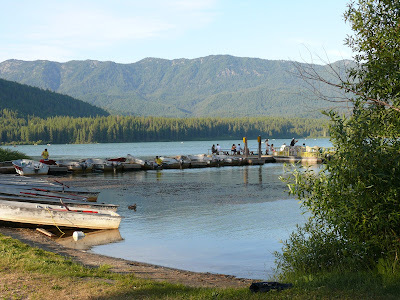 The Cove resort at fish lake, guests can fish off the dock, rent a boat or just simply relax and enjoy the quiet atmosphere. We rented out a Pontoon boat for our party of ten people. beautiful! i really like those cute buildings & the flowers on the street & the verandas. Beautiful pics!I loved how those flowers are hanging over the balcony.. I love Leavenworth, its a beautiful town! Great pics! Did the heat wave hit you there as well? I have been there before and liked it a lot. Divya, It was much hotter there but it was windy too. We were there at the lake most of the time and therfore could beat the heat. If I had not read through the post, I would have thought that it were some place in Europe. Very serene and picturesque.